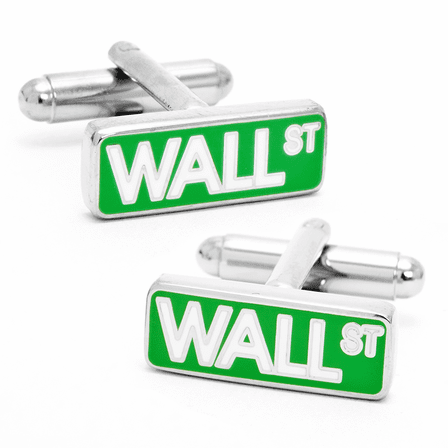 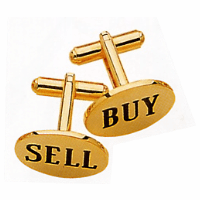 FEATURES/SPECS The only choice for friends and family who do business in the Big Apple, these Wall Street Sign Cuff Links from the Executive Gift Shoppe are designed just like the street signs in the world's most important financial center. 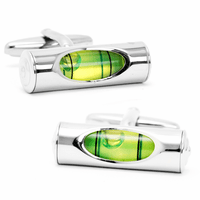 They're trimmed in silver and feature a bullet back closure keeps him looking his best at all times. 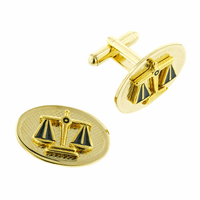 They ship fast directly to you in an elegant gift box, the ideal last minute gift.